​If you have placed an order, fear not. We are working on it and will let you know when it is shipped. If you did not get a chance to order your images or if you want to order additional images and products you may purchase a Private Gallery for $25, $10 of which will be added to your order placed from this event. Or, email us if you have the number of the images you would like to order. Team photos were not be posted on the web site as a custom, “optimized,” team portrait was created for each team with the best poses of each dog and handler (chosen from the multiple photographs). 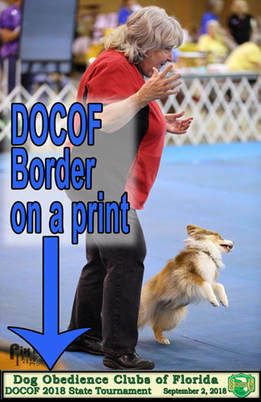 2018 DOCOF Border - will be on all action images unless requested otherwise.